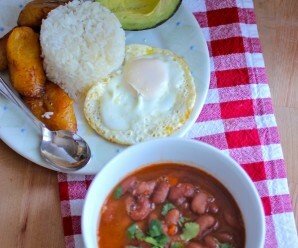 Beans are a huge part of the Colombian diet. 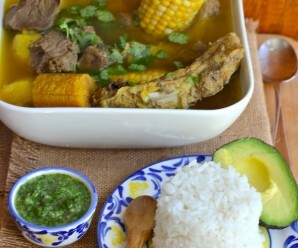 Colombian cuisine offers a wide variety of dishes influenced by climate and history. 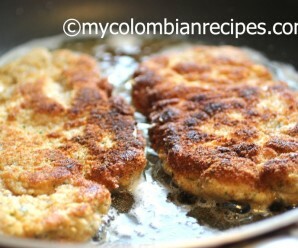 The dishes I post on this website are of recipes that I learned from my mom, grandmother or aunts. 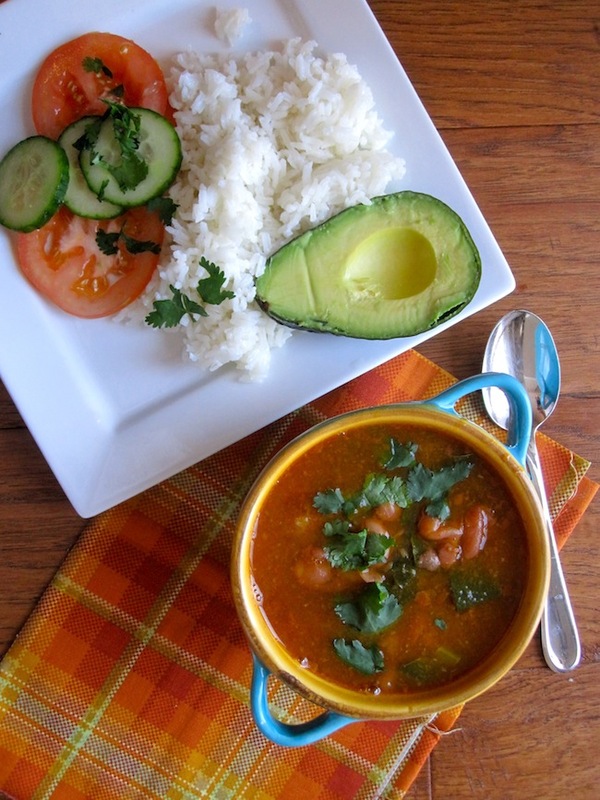 Mamita used to make Frijoles con Coles and my mom and her siblings loved this dish, but all the grandchildren, including me, hated seen those greens in the beans. It took me a long time to love and appreciate this dish as I do now. 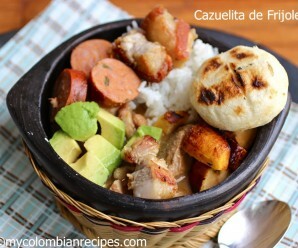 It’s something that reminds me of home and a dish that you can’t find on a menu in a Colombian restaurant. I Hope you enjoy making and eating this recipe too. Heat the oil over medium heat in a pot, add the onions, scallions and garlic, cook for about 3 minutes. Add the pork, diced tomatoes, achiote powder and ground cumin, water, salt and pepper. Cook for another 5 minutes, stirring occasionally. Add the water and bring to a boil. Add the beans, pork and simmer for about 1 hour. Add the plantains and collard greens and cook for 30 minutes more. Add the chopped cilantro and serve with white rice. Mouthwatering – we’d eat this up in no time around here! Gosh – this dish looks AWESOME!! Wonderful – filling and healthy – you always know how to combine the best of all worlds. I’m looking for ideas for my bean series and this is just amazing! 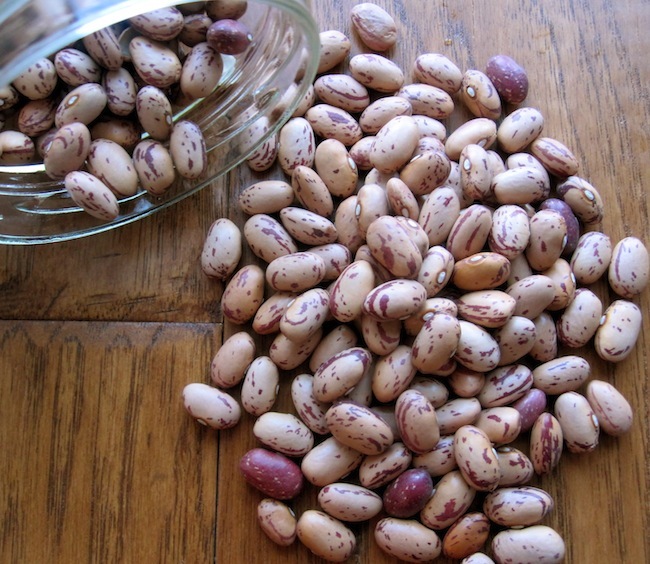 Those pinto beans look just beautiful. As a vegetarian I really glad to read this post. You post here really delicious food recipe which makes me hungry. Thanks! Nie presentation. Right now I am making blancas…. 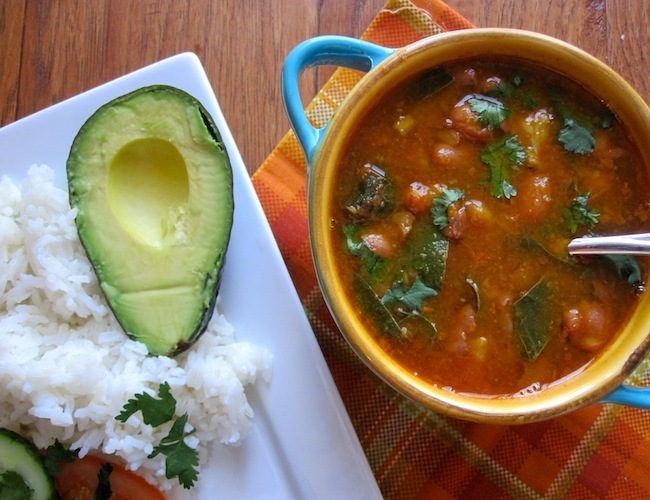 This is similar to my Portuguese Kale Soup. I’d love this! I am loving this recipe. I have plenty of kale left in the garden. 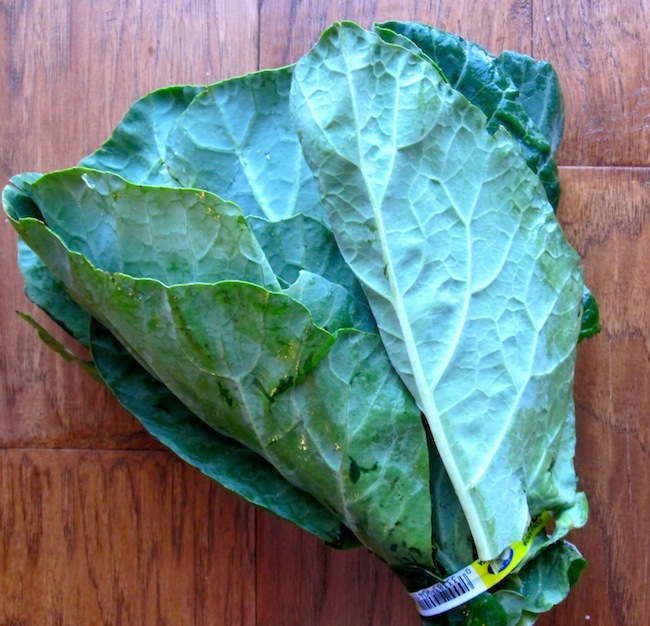 I am thinking I can use it in place of collards. What’s really nice about this bowl of soup? 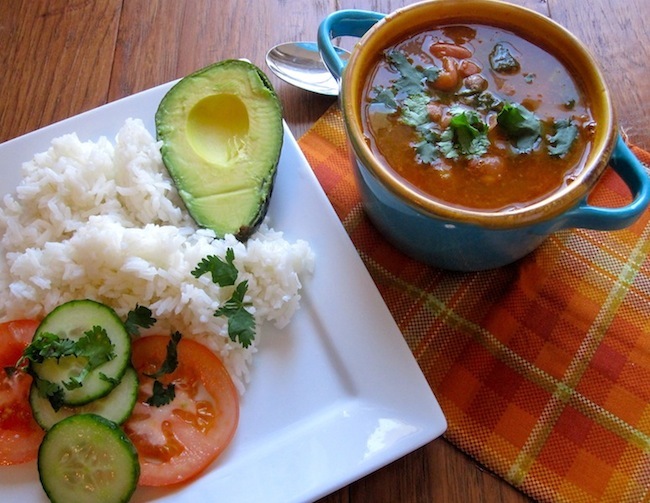 Is the side dish of rice, avocado, tomato and cucumber. It really makes the soup feel fresh and good for warmer weather. Thanks for sharing. What an enticing bowl of soup! I know I would finish that bowl all by myself, I love beans and vegetables a lot! I know Alexis is just going to love this! Is there a substitute for achiote powder? This looks delicious (but I, too, got over a childhood aversion to any sort of green)! You can omit the achiote if you don’t find it.